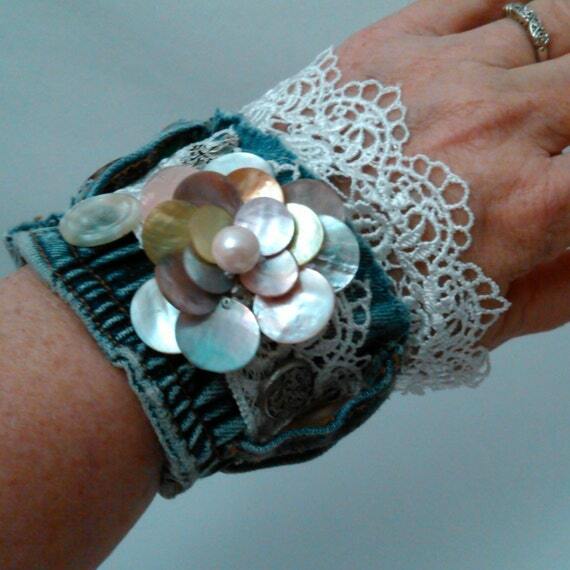 Denim & Lace Upcycled Shabby Cuff Bracelet Adorned with Vintage Buttons and Mother of Pearl Flower. 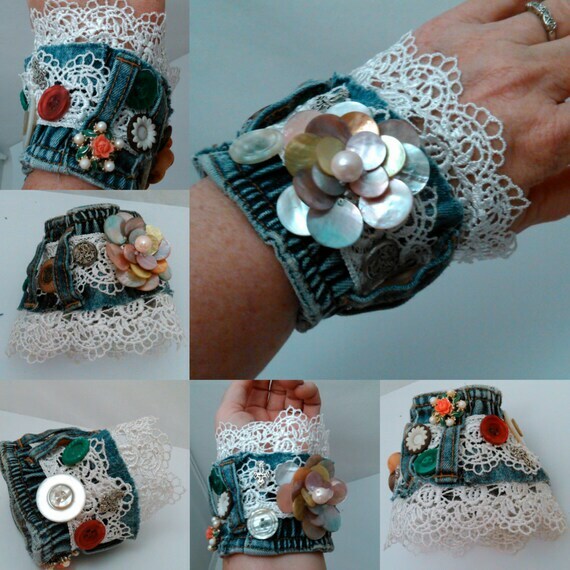 This pretty cuff was made with lots of love and fun. No sewing just glued but it is really sturdy! It stretches over the hand to go on the wrist and I would say it is for average sized to small hands. The big flower is mother of pearl or abalone. There are several buttons on it and they are vintage. 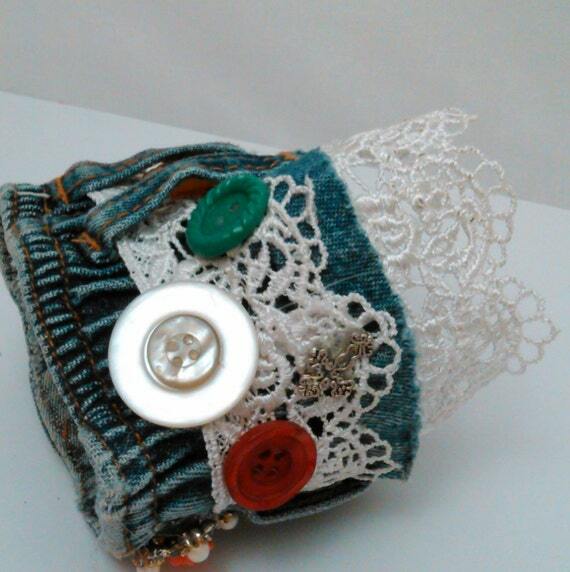 This is a fun bracelet and I think it would make a nice gift for someone that likes things of this nature. Always a pleasure to work with Deboriah. Will do so again. Welcome to Deboriah's Eclectic Heaven! 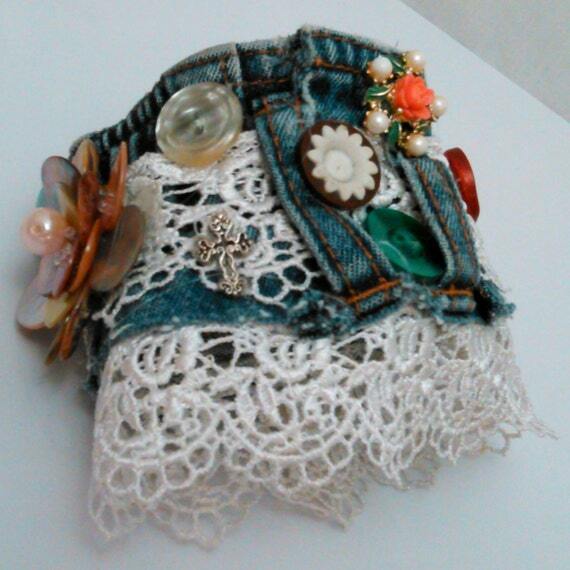 You will find a varied selction of merchandise here and friendly customer service. Satisfied Customers are our goal. We strive to ship all packages within 3 business days. Most payment services require that shipments be sent to a confirmed address. It is the customers responsibility to ensure that their shipping address is updated and correct before placing an order. If you would like to purchase multiple items please contact me. A lot of my items are priced with shipping included and in that case we will be able to negotiate a better price for you. Thanks! We want you to be happy with all your purchases. However, in the unlikely event that you are not satisfied with your purchase, simply contact us within 3 days after receipt of your merchandise. Returns will be handled on a case by case basis. Accidental misrepresentation of any item is the main basis for returns. Please read descriptions carefully before purchasing. If it is decided that you will receive a refund we will send you complete instructions on how to return the merchandise and receive a full refund. We will ask you for the reason you want to return the item in order to better serve our customers in the future. Please note: Shipping costs can not be refunded. Shipping charge will be deducted from the total amount before refund on all returns unless we made an error in your order then we will cover shipping and refund your entire payment. Item must be returned in the condition in which it was shipped to you with all of the original packaging and if it is a new item it must be unopened. Delivery tracking and insurance if the item is fragile must also be included. No returns will be accepted for damaged or altered items. Almost all of our items are pre-owned, some may have been worn and a lot of them are vintage, we cannot guarantee that they are smoke or odor free, or that they come from a pet free home. We strive to describe any flaws we see and clean things that we can clean as well as possible. Some jewelry items may have some tarnish on them. Items that could use more cleaning are usually described as such. We do combine shipping and will ship outside of the USA but only if you contact us with your shipping info. 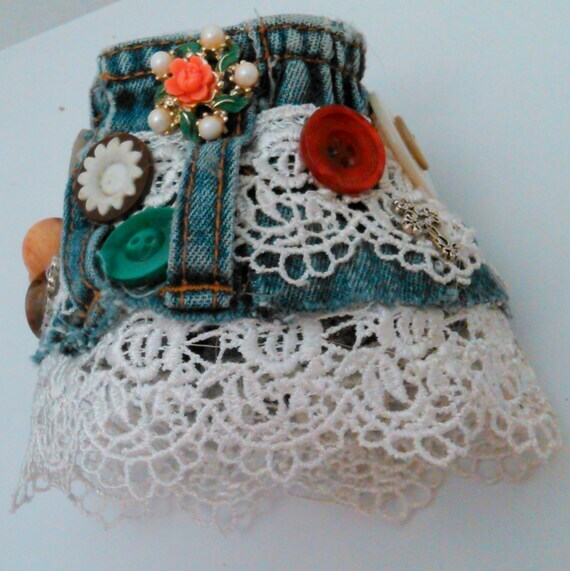 Want to save on future orders from Deboriah's Eclectic Heaven? Subscribe now to receive Deboriah's latest discounts, new product alerts and more!